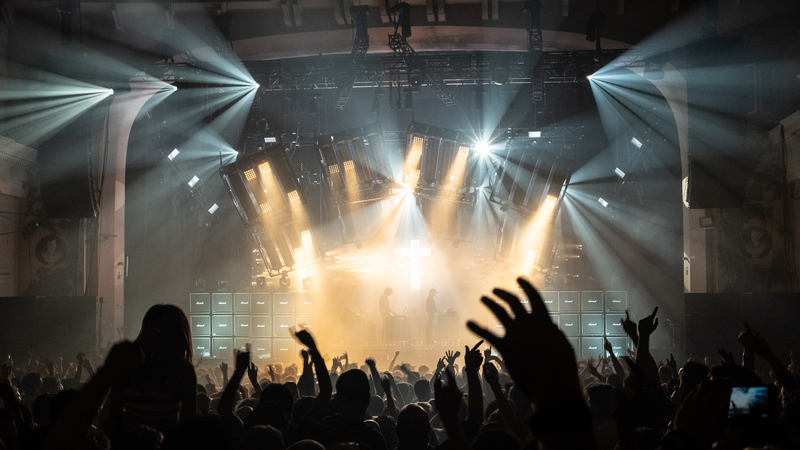 In the category "Tour-Lighting Design" the Opus 2019 goes to Vincent Lerisson (alias Lewis) for the extraordinary and variable lighting design of the "Woman Worldwide" Tour of the French electric band "Justice". Lerisson is a permanent member of the band as a lighting designer. We interviewed the "third band member" about the success. 1.You are a successful lighting designer and winner of the Opus Award for the "Woman Worldwide" Tour. Did you expect that? Lewis: No I didn't. This is a real surprise for me and I am so happy about it. I didn't even know this award existed. 2.What was the special part of the stage and lighting design for "Woman Worldwide" Tour? Lewis: The artist mainly wanted a show in black and white. But for this tour they wanted a special project, which totally differs from the others. They wanted a possibility to change the volume and the size of the stage. Thus, 42 media spinner were used. This idea lead to a complete transformation of the stage using movable elements, consisting of three sides each with different functionality. 3.How long did it take from the basic idea to the finished stage and light design? Lewis: We started talking about the project with Justice in June 2016 . At the end of September the diffrent manufacturer started to build the stage parts and the rehearsals finally started in the middle of February 2017 . The first show then started on 17 May 2017 in Mexico. 4.Xavier de Rosnay describes you as the third member of the group. 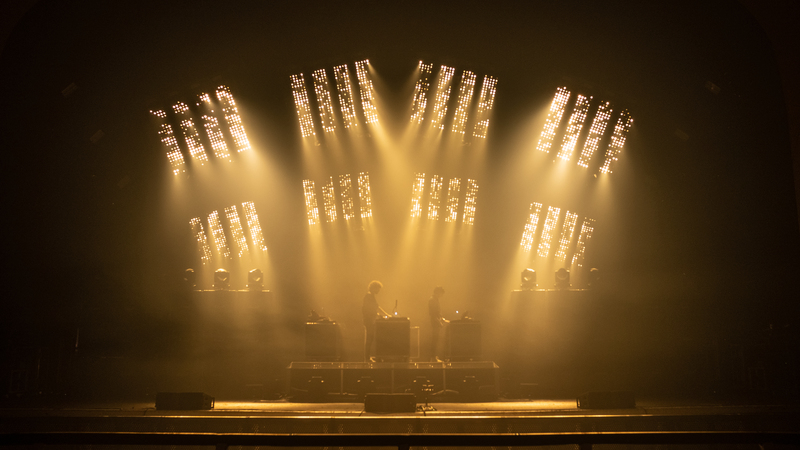 What is the advantage of managing the lights in real time during a concert? Lewis: The advantage is that I can adapt the light in quick time when the artists decide to change the set. I also can react quickly if there is a problem on stage. And I don’t need another member of the team for everday programming of the lights. Furthermore, I can catch the audience's reaction and put into the show. But the most important for me is to be a part of the live show, to interact with the artists, the sound and the light. This is fun and it is real. 5.Prolight + Sound is an annual trade fair for event technology. How important is this for you? 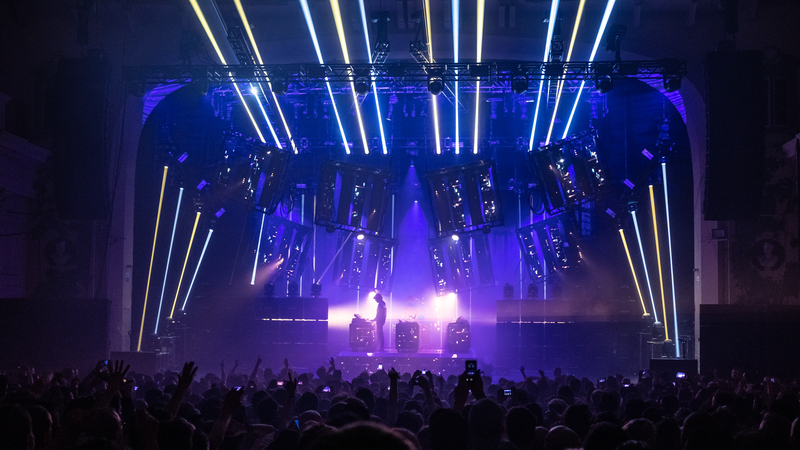 Lewis: Since we all use different technologies for live shows, it is advantageous for me to see all new products at once at the fair since we don’t have a lot of time to do that. Besides it is helpful for me to talk to different manufacturer and event manager to understand their ideas and points. And it is really good having some real interaction in a virtual world.